RKF Engineering Services is a specialist engineering consultancy working within the Australian mining, marine, transport and heavy industry markets. Established in 1987, we’ve been around for three decades and have offices in Perth, Wollongong and Gladstone. RKF Engineering Services has long been recognised amongst its peers as a leader in structural engineering, remediation and design, concrete technology and cathodic protection. We’ve worked with some of Australia’s leading companies and continue to be sought after by local and international clients abroad for the technical expertise, specialist knowledge and superior value that we bring to each and every project. We strive to provide a superior quality of work through our commitment to excellence and customer satisfaction. We aim to provide a reliable, transparent and consistent standard throughout all aspects of our work and maintain a strong ethical standard. We are continuously searching for ways to encourage, improve and empower our employees to make the best decisions through technology innovation and ongoing training. We believe in teamwork and that every team member brings something different to a project. 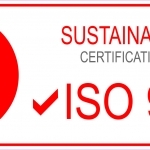 RKF Engineering Services is certified to ISO 9001 quality management system standards and has maintained its certification with full compliance since 2015. Looking for a career in Engineering?